Less Than a Month Until Halloween! Get Your Costume Now! Our favorite holiday, Halloween, is just around the corner! Do you have your costume picked out yet? 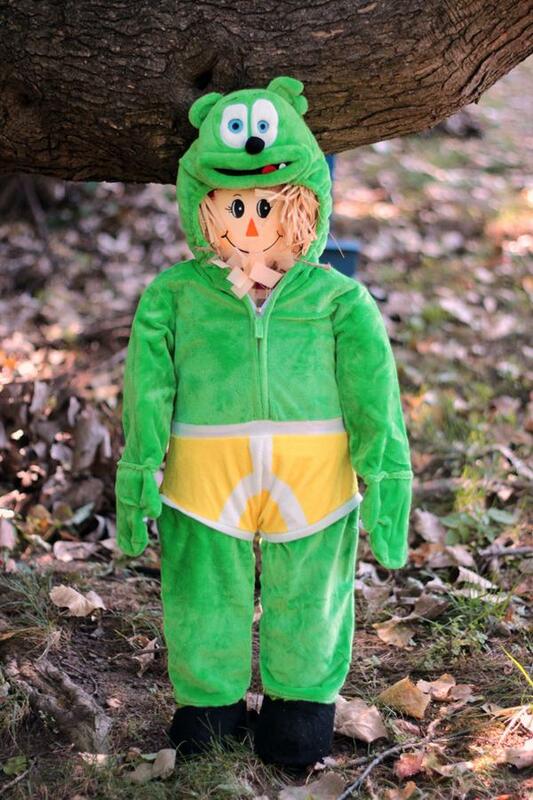 How about dressing up as Gummibär (The Gummy Bear) while you go trick or treating this year?! Our Official Gummibär costume is available in our shop now! This one piece jumpsuit costume zips up the front and features an attached character hood. Hand wash cold separately. Do not bleach. Line dry. Do not iron. Do not dry clean. Not to be used as sleepwear. 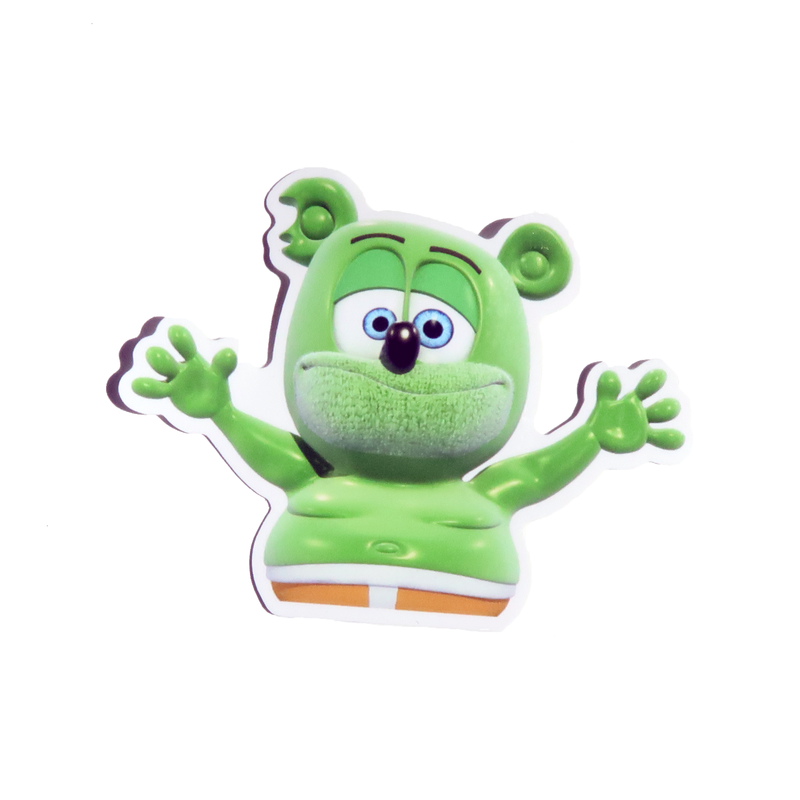 Just added to the Gummibär Shop is this awesome Gummibär (The Gummy Bear) Die Cut Sticker Set! This sticker set includes 8 die cut stickers, which make for great party favors! Made from a durable vinyl with a laminate that protects your stickers from scratching, rain and sunlight. Decorate you planner, notebooks, scrapbooks, and more! Each die cut sticker is approximately 3″ in diameter. Guess The Language in the Brand New ‘Around the World with Gummibär’ Video! This week’s ‘Around the World with Gummibär‘ language video is a MYSTERY! Can you guess what language “I Am A Gummy Bear (The Gummy Bear Song)”is being sung in?! Celebrate the 10th anniversary of “The Gummy Bear Song” long version video with “The Gummy Bear Song” video in HD! Travel around the world with Gummibär in 2017 and watch “The Gummy Bear Song” HD video in a new language EVERY WEEK! Be sure to SUBSCRIBE to the Official Gummibär YouTube Channel to be the first to be notified when a brand new video goes live! 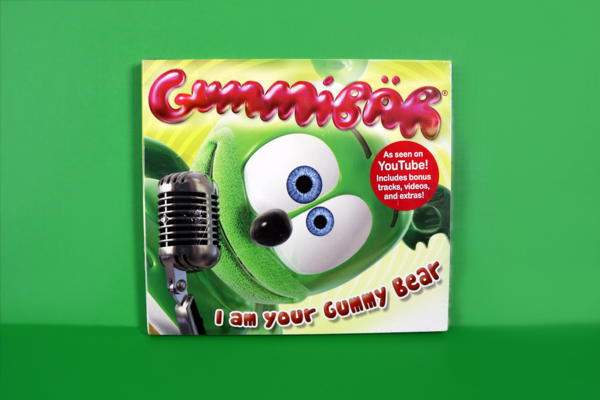 Pick Up A Singing Gummibär Plush Toy Today! Here at the Gummibär Shop we LOVE plush toys! 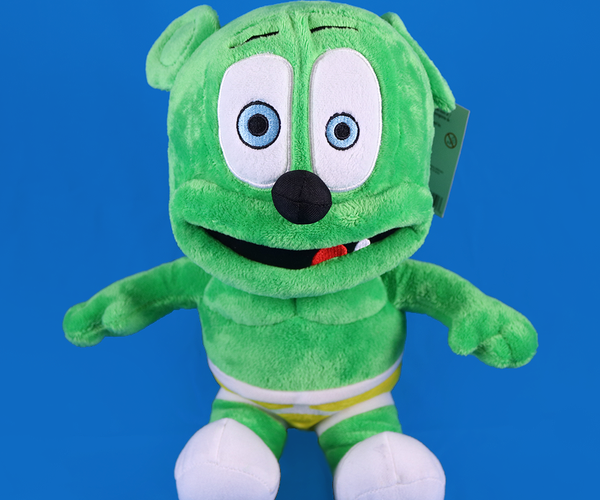 One of our favorites is our classic Singing Gummibär Plush Toy! 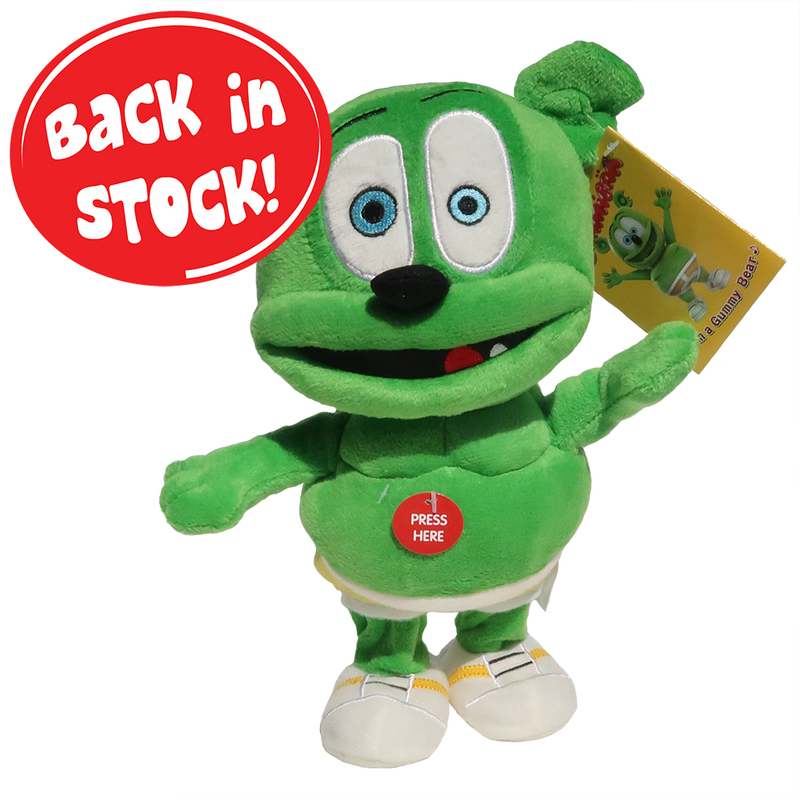 This adorable plush toy stands at 14″ tall and sings “The Gummy Bear Song“when you press its tummy! This cuddly plush toy makes for a great gift for all occasions! Pick up one of these super cute plush toys in our shop today! 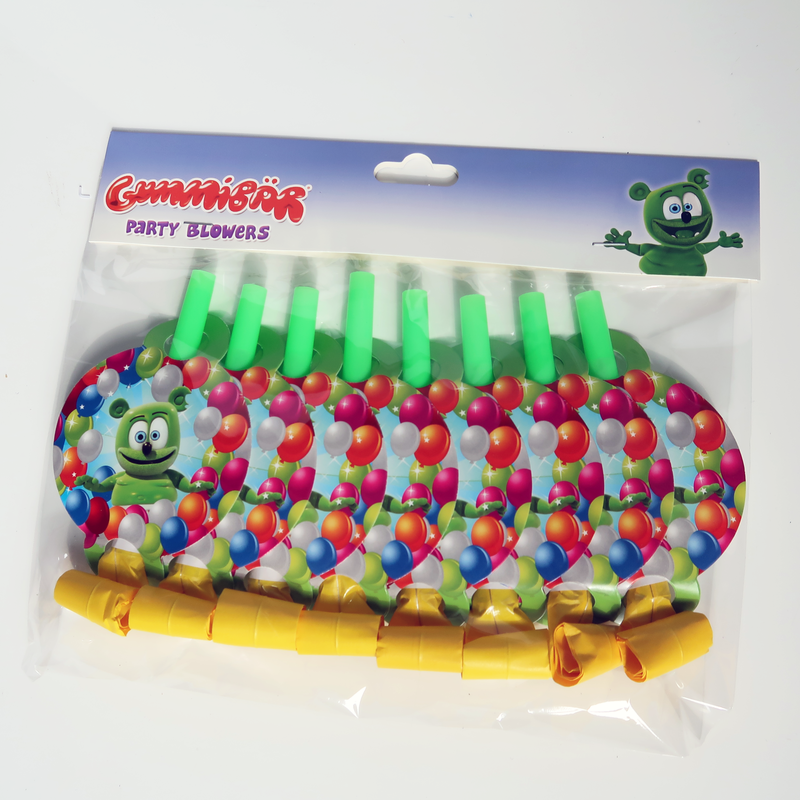 The Singing Gummibär Plush Toy has an internal battery that is non-removable and has an expected life span of anywhere from 6 months to 6 years depending upon frequency of use. 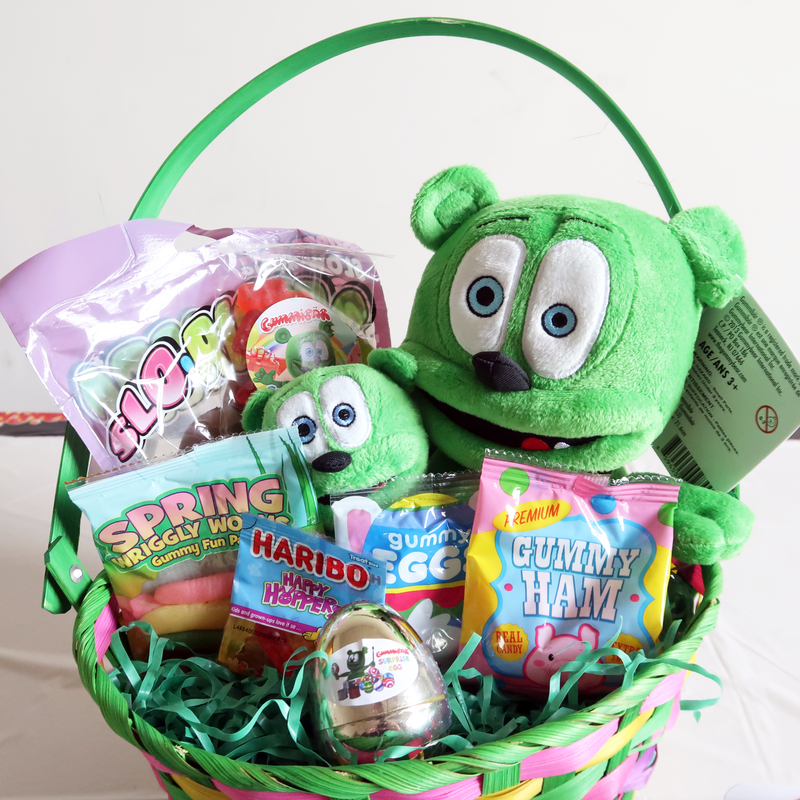 Have You Entered the Sixth Annual Gummibär Easter Giveaway Yet? Have you entered the Sixth Annual Gummibär Easter Giveaway yet? What are you waiting for?! This year’s Easter giveaway has a HUGE Easter-themed prize package that is worth over $150! The giveaway is taking place on TheGummyBear.com. To learn how to enter to win CLICK HERE! Enter for your chance to win today! WOW! THAT’S A LOT OF STUFF! Decorate Your Valentine’s Day Cards With Adorable Gummibär Valentine’s Day Stickers! Valentine’s Day is coming up! Are you sending Valentine’s Day cards this year? 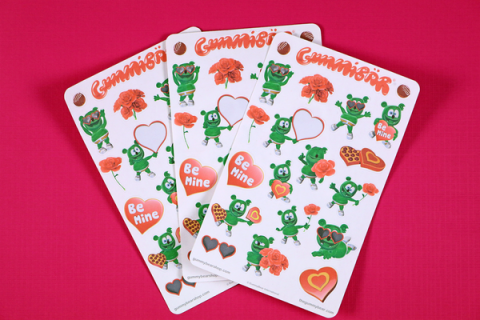 Make sure to decorate your cards with our adorable Gummibär Valentine’s Day stickers! You can purchase a set of our super cute Gummibär Valentine’s Day Sticker Sheets right here in the shop! 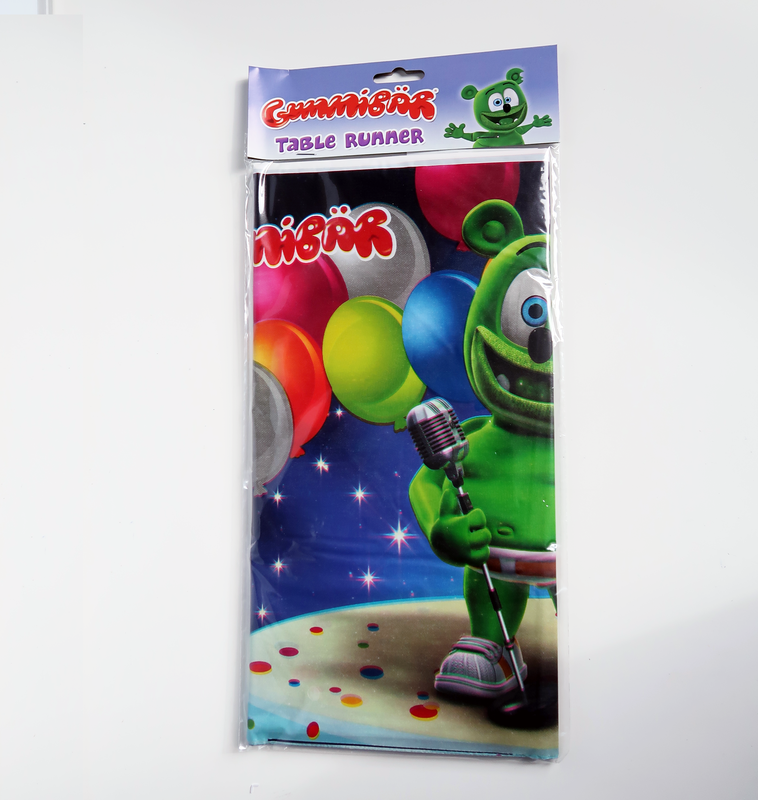 This Gummibär Shop exclusive includes 3 sheets of stickers with 20 stickers on each sheet! That’s a grand total of 60 stickers! Theses stickers are perfect for decorating your Valentine’s Day cards, planner, notes, notebooks, and more! Purchase your set of adorable Gummibär Valentine’s Day Planner Sticker Sheets today by clicking here! Watch The Brand New Episode of The Gummy Bear Show! Happy Friday! A BRAND NEW episode of The Gummy Bear Show premiered today on The Official Gummibär YouTube Channel! This new episode, “The Happy Puppy,” marks the 14th episode of the Gummibär & Friends series! Watch the episdoe below, to see what happens when a puppy follows Gummibär home! Subscribe to the Official Gummibär YouTube Channel to be the first to know when a new episode of The Gummy Bear Show goes live! Our favorite item in the Gummibär Shop right now is our Small Singing Plush Toy! This adorable singing plush toy perfectly resembles your favorite dancing and singing YouTube character, Gummibär! The Small Singing Plush Toy stands at just 8.5″ tall. The cute toy sings “The Gummy Bear Song” when you squeeze its tummy. This toy is the perfect travel toy and cuddle buddy. Get yours today in the Gummibär Shop! Click Here to Purchase your Plush Toy in the Shop Today!